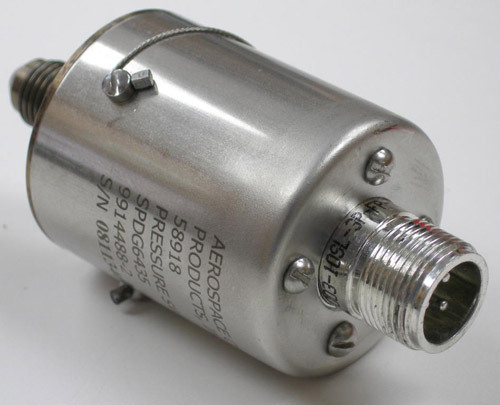 Aerospace Gage Pressure Switches - Davenport, Iowa - Aerospace Control Products, Inc.
Aerospace Control Products, Inc. gage pressure switches have been used in a wide variety of applications for over 45 years. This experienced product group includes over twenty five variations of the basic design. A long service record exists for these units in the aerospace industry. Although these units were first used for an engine mounted auto-feather system, they have since been used in other situations where a rugged and/or flame qualified unit was called for. Current applications include use on several propeller, turboprop, and turbine airplanes and helicopters. 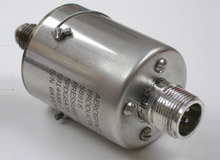 They are used for pressure sensing in oil, fuel, and bleed air systems. 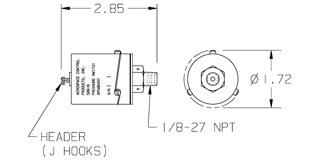 The design incorporates a laser-welded diaphragm/pressure plate/base assembly, a spring lever actuator, and a snap action switch (Microswitch ®). The lever moves away from the switch on increasing pressure and thus protects the snap action switch from overpressure damage. The pressure plate is contoured to stop the diaphragm from excessive movement at maximum pressure, preventing over-pressure from deforming the diaphragm, thus ensuring long term stability. The snap action switch and lever/spring are protected by a stainless steel cover. The connector/lead wires are mounted to the cover. 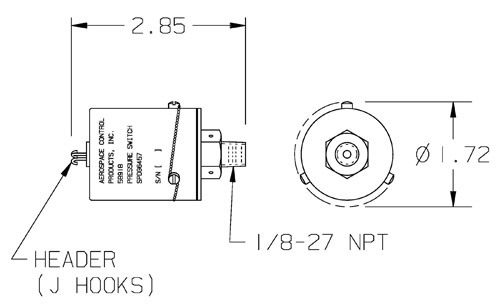 A box mount connector is used to resist heat, vibration, and physical abuse. 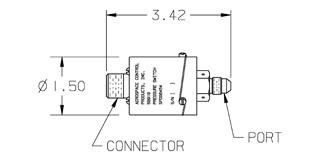 Both the cover and the connector are attached with screws rather than pins or rivets for added strength. These screws are locked by means of locking nuts (connector) or safety wire (cover). 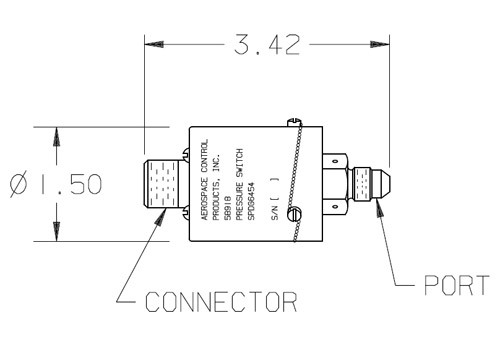 Options within this family of switches consist primarily of actuation/reset pressure settings, operating and proof pressures, electrical current carrying capacity, mounting method/port size, and connector type/wire leads/terminal hooks option.